Osteoporosis (literally means 'porous bones') is a silent disease with no signs or symptoms till a bone breaks. 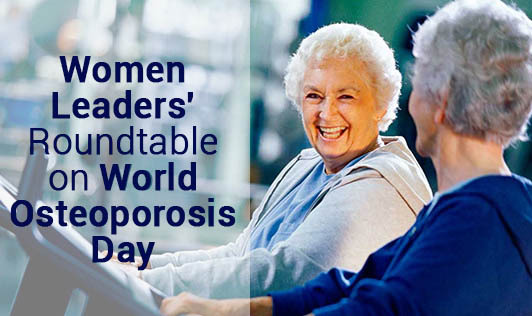 There are about 51 million people with osteoporosis in India out of which 80% are women. It's a preventable problem. Overcome the changeable risk factors and you'll reduce the chances of getting osteoporosis. Eat healthy, exercise daily, get some sunshine on your skin everyday, don't smoke. Consult your physician and get a bone density test done if required, to find out how healthy your bones are. Women above 40 years with a family history or women above 60 years should have their bone density checked.